South Carolina and North Carolina agree to face each other in Charlotte, NC in 2019 and 2023. Sunday, April 21, 2019 • R.I.P. Edition • Brought to you by the lowest bidder! UNC-South Carolina in 2013. Image via nfl.com. Thursday won't be the last time the world sees North Carolina and South Carolina face each other in Charlotte, NC. The Charlotte Sports Foundation announced on Wednesday that the two schools have signed a deal to play a two-game series at Bank of America Stadium in 2019 and 2023. 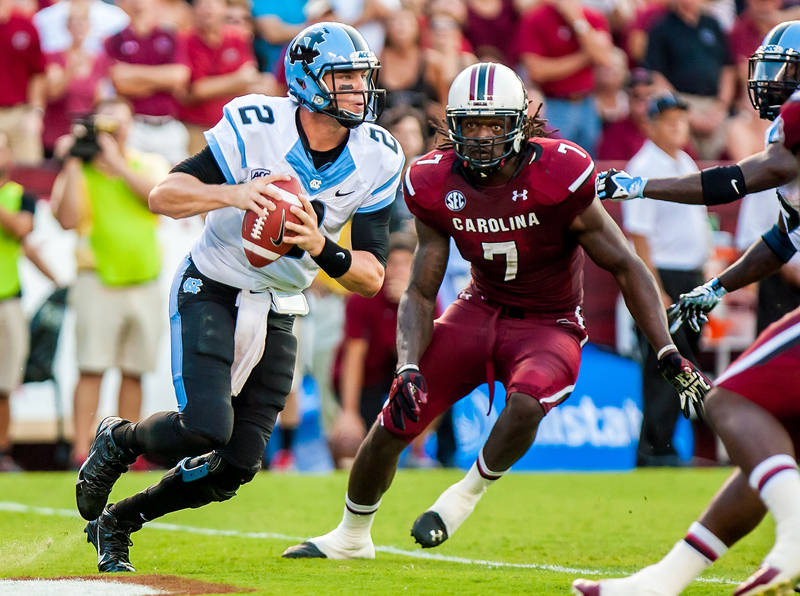 South Carolina defeated UNC 27-10 in the last meeting between the two school. UNC leads South Carolina in the series 24-18-4. UNC-South Carolina will kick off at 6:00 PM ET on Sept. 3 in the Belk College Kickoff Game on ESPN.